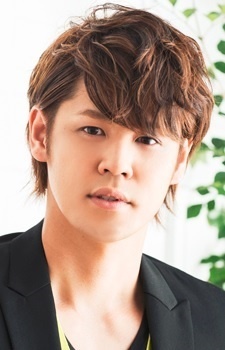 Mamoru Miyano won Best Voice Actor award in the Second Seiyuu Awards for leading roles of Kida Masaomi (Durarara!! ), Setsuna F Seiei (Mobile Suit Gundam 00) and Hakugen Rikuson (Koutetsu Sangokushi). He married in late 2008; 2-3 months after his announcement, their son was born. Voice actors make our favorite characters memorable. They give characters, well... character! Anime would be nothing without their hard work and dedication. But which voice actor is the best at his job? Let’s take a look at the top 10 male seiyu (voice actors) on MyAnimeList to find out! When I tought that my boi Taichi couldn't get anymore awesome I find out that he is voiced by the super talented Miyano Mamoru. Sugoi! His most influence me the reason is not about his seiyu the identity. But this:' He married in late 2008; 2-3 months after his announcement, their son was born.' Lemme ask anyone who read this comment by 20-40 years of people. How many people can like him with give this how huge courage and responsible to do it?! Ask yourself about your normal living as thinking so what, and meeting any trouble for what's your most truest of reaction? Miyano-san taught me this since he risks huge even more huge the risk to get the acting and being fame, and I'm very glad to see he's how to understanding fame this word and what's the necessary stuffs during dozen years. Very appreciate his voice acting with Ethan Hawks' young age of works, plus the starring in Upside Down for Japanese dubbing. Of course, Johnny Depp's film Charlie's Chocolate DreamWorks is also starring by him, not official Japanese dubber Hirata :-P.